The Eco-council decided that one of the areas they would like to focus on is creating less food waste at school and being able to reuse food waste to help the environment. The children looked into having a compost bin in the school grounds and reusing food waste collected at snack time (fruit peelings/cores) and waste from the kitchen and during lunch time. 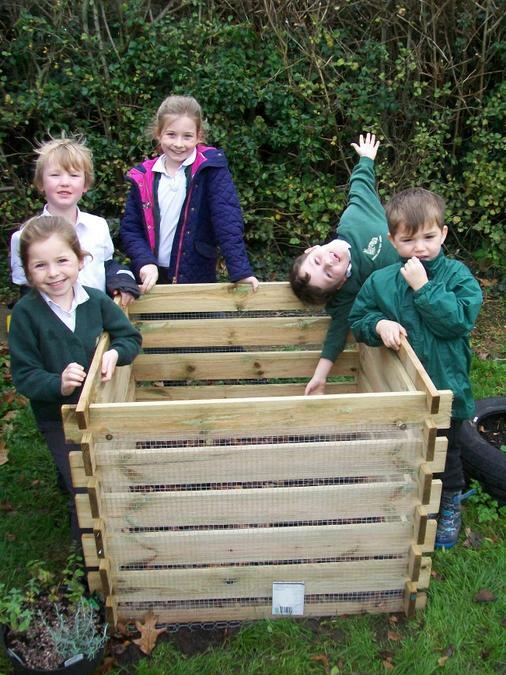 Miss Curnock ordered a timber compost bin for the Eco-council and has made it rodent proof and last Friday put the compost bin in the school grounds ready to use. Today the Eco-council discussed ways to let the rest of the children at school know and understand about composting. They together have decided to design posters explaining key facts about composting and what can and cannot be composted. The children have also decided to do an assembly to the school talking about the importance of composting. Here's are new compost bin! If you plant mint around the compost bin, it keeps rodents away as they don't like the scent. 'Church Lench and the composting mission'. The children designed an informative presentation discussing the importance of composting and what can be composted. The Eco-council asked the children lots of questions to get them thinking all about composting. They explained to the school all about how waste decomposes as well as the importance of having an equal about of green and brown waste. Browns - We make Carbon! Uncooked food – fruit and vegetbles, bread. We are very excited about getting the composting underway and to start using our waste for a useful purpose. Here is the recipe the Eco-council wrote for making compost! Keep turning and stirring it! Ta dah! You will have the perfect compost to use in the garden. This week (5th-9th March) is Waste Week and the focus for this years national waste saving campaign is food waste and packaging. We are really focusing on our composting mission to help with creating less food waste. The Eco-council have been thinking of ways to encourage more opportunities to compost. We have now added a compost bin in the lunch hall so children can put waste food in there, which will then be added to the compost bin. The children have been thinking about having a competition to see how much food waste we can collect in a week ... watch this space! The Eco-council have also been sharing ideas about how to reduce the amount of food packaging that goes in the bin. 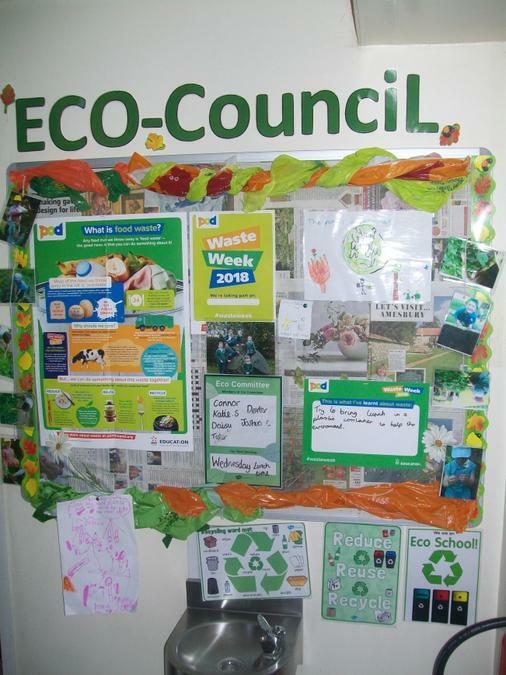 The children have added a 'top tip of the week' to the display board to give children advice about how to waste less! If you have any ideas, please come and have a chat with a member of the Eco-council, we would be happy to hear your opinion. Here's are new display board!